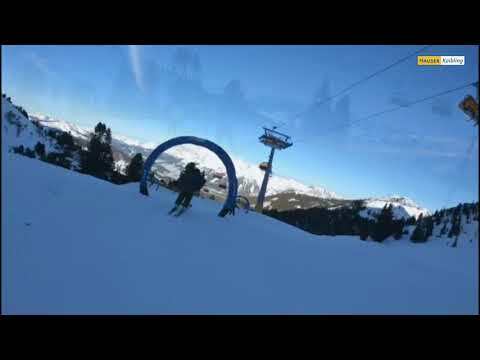 The brand new XXL Funslope with moguls, a tunnel, giant snail, speed booster, and even more, features the best of piste, snowpark, and cross, along one 1,460-metres-long slope. From this winter season, it'll be an even longer fun ride for big and small. In 2016, we set up this fun ski-run, and in summer 2018, we made it even longer. It now features a fabulous length of 1,460 metres, offering skiers and snowboarders of all levels some great variety. For the funslope, we combined well known piste, snowpark, and cross elements as well as steep turns, moguls, and small jumps. 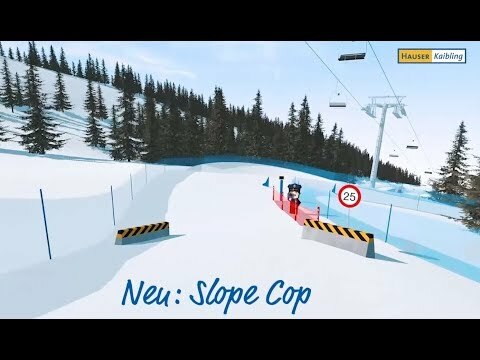 There are also some non-snow elements to discover in this new attraction, such as the brand-new Slope Cop, a Speedbooster, a Hoop Race, a Low-Five Hand, a Sound High-Five Hand, as well as a Sound Slopy. The funslope is in the Kaiblingalm area, on ski run no. 8. The best way to get there is along ski trail Kaiblingalm, ski run no 6A!